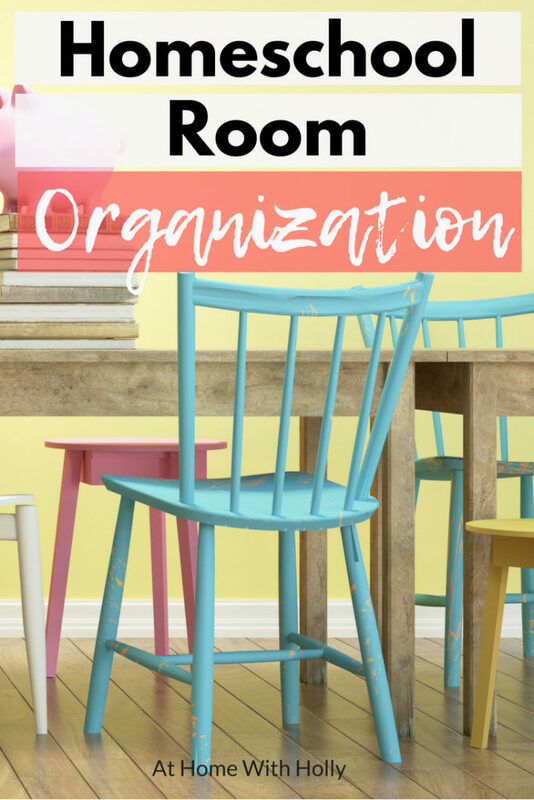 It seems like everyone wants tips on homeschool room organization! While I’m not an expert I HAVE reorganized my homeschool room at least 50 times in the last 4 years, haha! I’ve picked up some great ideas along the way. I’d love to share them. Do You Have A Whole Room To Dedicate? Not everyone is as able to dedicate an entire room to homeschooling. I’m lucky enough to have a room that we were able to turn into our homeschool room. It is actually one of the bigger rooms in our house. Although by today’s standards (our house was built in the 70’s and it 1200 or so square feet) the room is still a bit small. I’ve never been one to “Keep up with the Joneses” though. 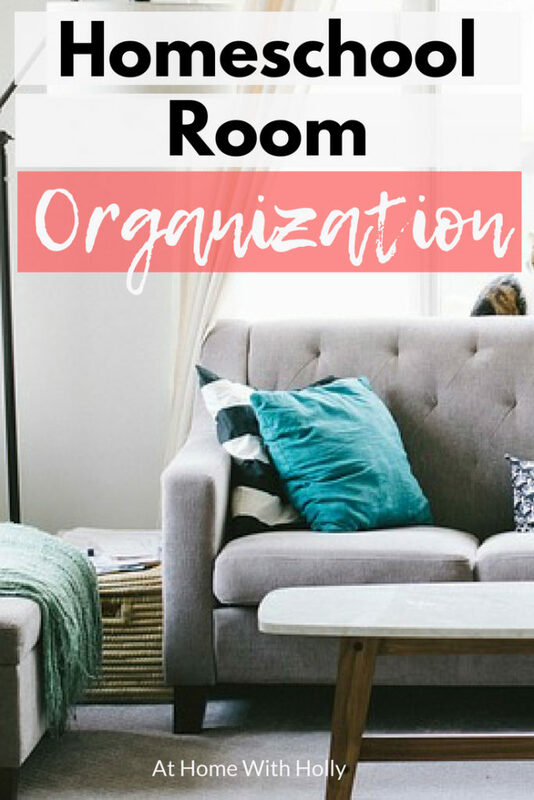 Even if I didn’t have an entire room to dedicate a lot of the tips I have for you could work around the home if you can find places to put items. So, no you do not need a dedicated homeschool room. For our family, it works better but for other families, it might not. I love using bookcases to organize our classroom material. We have one cabinet which houses some books and supplies. We used to have this cute little sling bookcase but we found ourselves outgrowing it this year and upgraded to a heavy, sturdy metal bookcase I bought at a flea market. UPDATE: We’ve outgrown this too and now have two wooden bookcases and a few totes with extra books in storage. I don’t really recommend one large bookshelf. I like at least two bookshelves. I use one for books and the other is for my homeschool supplies. I store busy boxes, math manipulatives, science supplies, extra notebooks and more on there. You can add an additional shelf to the wall for your child to show off projects or collections. If you want your child to have a large reading selection though it might be a good idea to invest in a kindle. 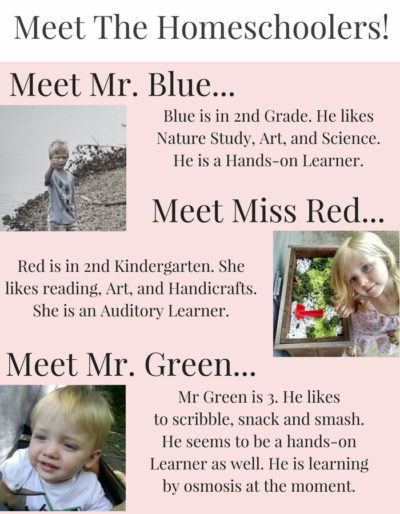 I have an app called Reading Rainbow on my children’s tablets and it has a great selection. There is also another app called EPIC that has thousands of ebooks available as well! A storage cart is an excellent addition to a homeschool classroom. A rolling storage cart that has bins is the way to go. You can then label each bin with the subject. This allows you to keep all the supplies nice and organized so that you can find what you need when you need it. A rolling storage cart will even allow you to use the top as a projector stand or a place for your materials if you like to stand up while teaching. A dry erase calendar is a great way to keep your child, and yourself, organized for upcoming field trips, project due dates, memory work, etc. If you like, you could also give your children small dry erase boards (Dollar Tree!) to list things they’ll be working on throughout the week, as I have done. Seriously using windows as a dry erase board works great too. We homeschool on a sunporch and there is only one place that I could place a whiteboard. We use dry erase markers or window markers to write spelling words or if I am explaining a math lesson. I know I am giving you a ton of options here but a cork board is also a great addition. You could use it for things like pinning up artwork, artist study, memory work or photos your family has taken. We have little room for placing corkboard on our walls so I use cheap clipboards from Dollar Tree as an alternative. I place artwork on clipboards for example and place them on our bookshelf as artwork. You might want a desk for you and one for your children. If you opt for desks they should be large enough to provide a comfortable workspace. Desks should have built-in storage of some sort for organizing supplies, such as pens and pencils. 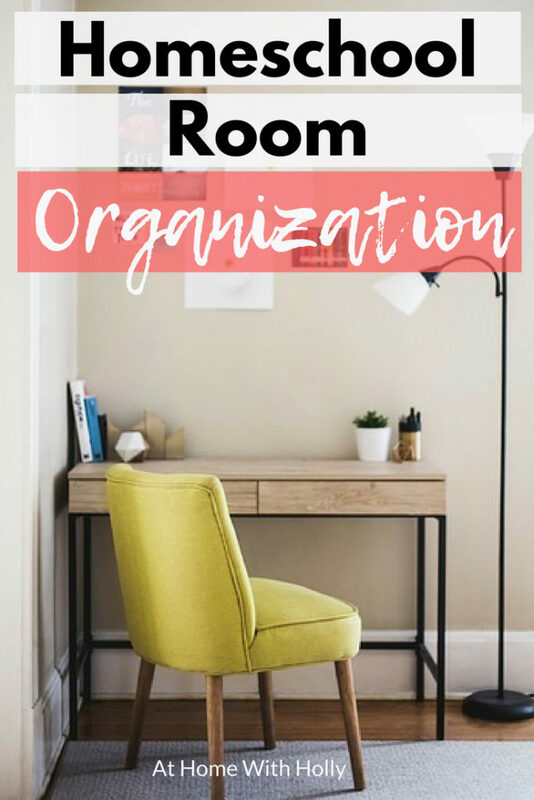 You can also find great organizers for organizing all your desk supplies at the Dollar Tree if your desk lacks storage. You may also function better with one table for all your children. This option is better for a younger crowd and children who aren’t distracted by each other. You can place posterboard as a divider to separate children for individual lessons. The singular table works for my children because my kids do a lot of lessons together because of their age. There are only 2 years between my oldest two. They both do history, science, art, and reading together. My son is a little behind in regards to reading and my daughter is a bit ahead so it works out that they do those lessons together too. Last, but not least, to keep yourself organized, clear away any supplies as you change subjects throughout the day. For example, after art, put away any art supplies. 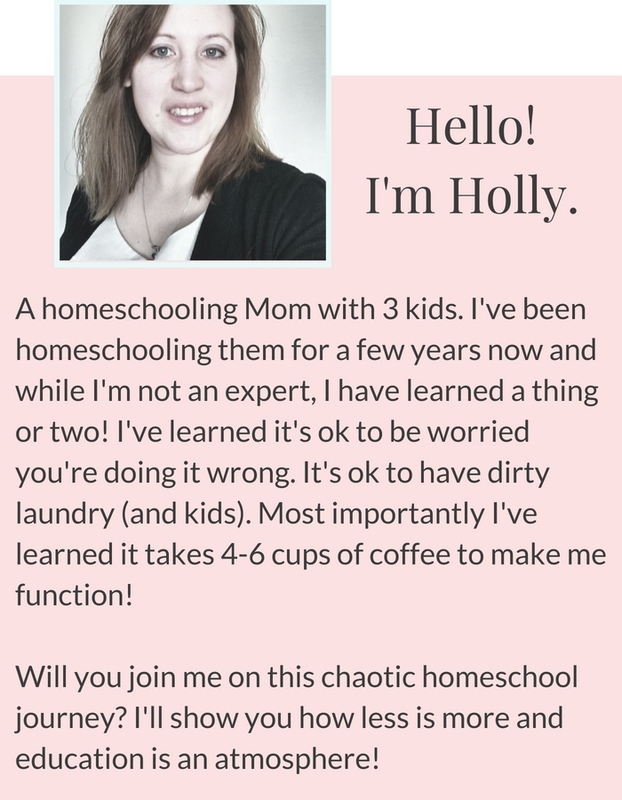 This will prevent your homeschool area from looking like a complete mess at the end of the day. We usually have a group tidy up at the end of our day. 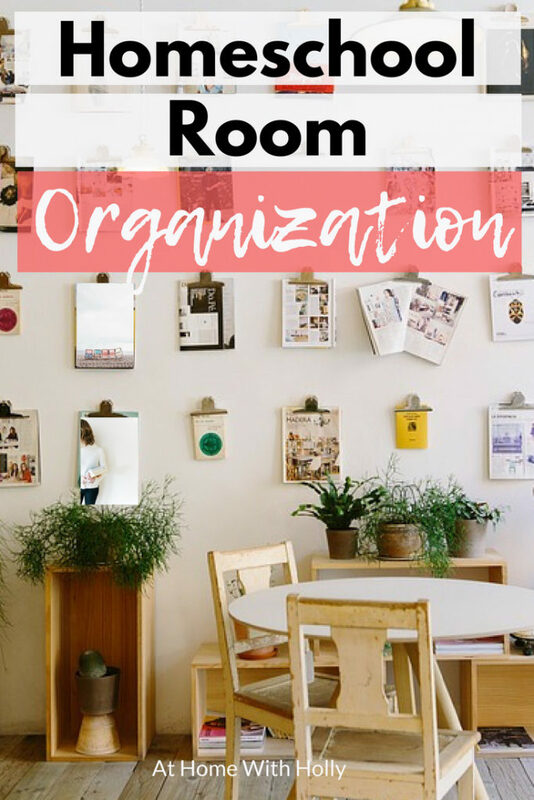 An organized homeschool area is much more pleasant to work in for you and your child. 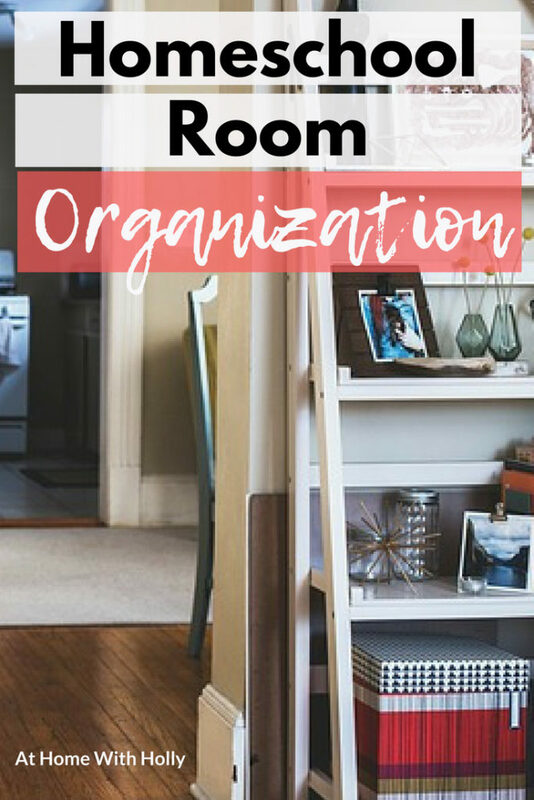 Once it’s organized, all it takes is keeping it clean and putting things away as you go, which is I know SO MUCH easier said than done.